Pure water business in Nigeria is very profitable but requires good amount of money. If you wish to invest in this business your profits are guaranteed if you properly set up your business and apply good market strategy. Don’t worry we are here to make that easy for you. We compiled a detailed list of what you need to know before going into the pure water business. However this list is for a medium scale pure water production plant, but you can change it depending on the size you have in mind. 1. 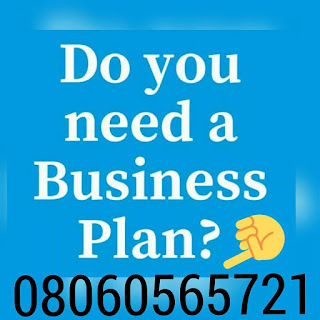 We give the basis for your pure water business plan /feasibility report on pure water business but you have to develop one that will work specifically for you. You have to do this with utmost care so that you can achieve your aim of a successful business. The bottled water business plan should contain operational objectives and strategies, startup and operating costs, marketing, advertising and sales strategies, pricing and profit margins, supplier lists, insurance information cost analysis, market research, marketing and management, etc. If the need arises you can get help from a professional consultant so that you’ll get the best. The prepared pure water business plan can be used to get business loans, secure investors and for other analytical purposes. You can change during the course of time to suit the state of your business per time. Build your factory as a bungalow, properly fenced and finished. A borehole is of course required so dig a borehole employing professionals for it so that they can do a proper job. It is also advisable to interlock the compound. The cost for these is determined by the size of the building, and cost about N5 million – N10 million. The water has to be purified before it is sold to consumers and while there are other methods of purification such as carbon filters and reverse osmosis, the distillation method is more advisable. It can be used for the purification of all types of water even those with bacteria and parasites and you’ll still have 99.9% safe drinking water. It’s effectiveness is not dependant on water pressure, water temperature and pH. Distillation is the process of heating water till boiling point. The water becomes vapor or steam and is separated from the impurities. The steam or vapor is then condensed back into pure liquid form while the impurities that remain as residue will be discarded. This method of purification removes all kinds of waterborne biological contaminants which includes bacteria, viruses, organic and inorganic chemicals, heavy metals, volatile gases, cysts and other contaminants. Distilled water is pure and has no solids, minerals or trace elements. Water purified with this method is clean, natural and healthy and this makes Distillation the most advisable method for purification of water. Notwithstanding, most Nigerians in the pure water business opt for the Reverse Osmosis Distillation which equally produces pure, safe and clean water but is cheaper when compared to direct distillation. If you choose to go for the simple distillation machine it would cost you about N1,000,000. A standard distillation system on the other hand costs about N10,000,000. Therefore the amount to budget for distillation system is N1 million to N10 million depending on the choice you make. If you will not be able to afford any of those, then you can go for Ultra Violet Filtration as it is cheaper and costs less than 100,000. It is mostly used by small to medium scale pure water makers in Nigeria. An Automatic Sealing Machine is also needed and crucial in the setting up of your business. One is enough for normal volume production but if you want to go for a very high volume production then you will be needing about two or three. N400,000 – N650,000 and handle your whole production on a daily basis. It is automatic and very efficient. A Manager who can equally act as the cashier except if you can afford to hire another person for the purpose. Without NAFDAC approving your products you won’t be able to produce and sell to consumers. To commence go to the NAFDAC office and get the neccessary forms. Fill them properly and submit accordingly. It will take about three to six months to get the certificate. Getting this approval will cost about N30,000.